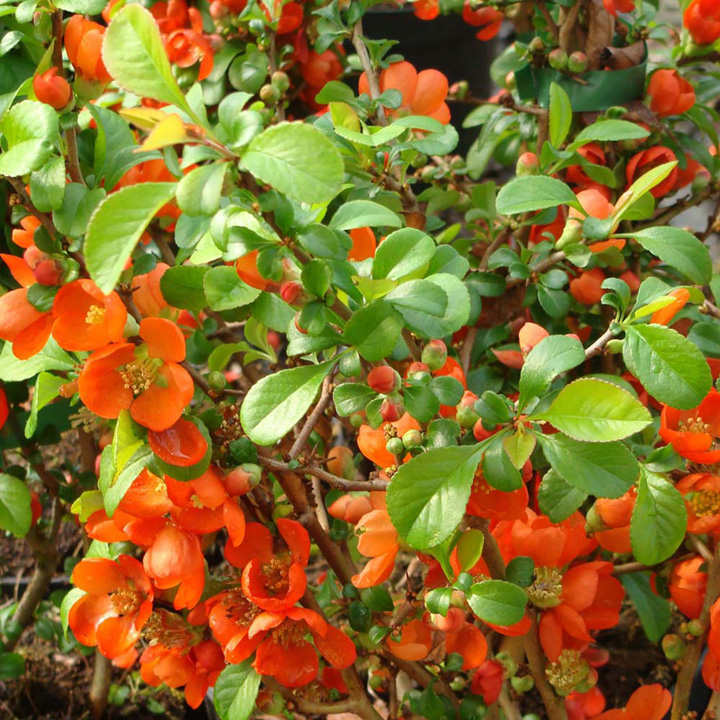 Chaenomeles × superba 'Clementine' (Japanese quince 'Clementine') is a deciduous shrub with arching branches. Its foliage is dark green in colour, ovate and glossy. 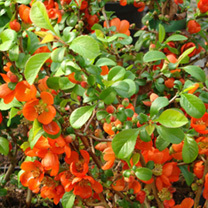 The flowers are double, red and red-orange appearing on the bare stems in spring which are followed by aromatic, edible fruit. Flowers March-April. Height 100-150cm. Supplied in a 3-4 litre pot.